Reginald Newport was the son of Tom and Caroline Newport, of 13 Grange Avenue. The 1911 census indicates that he had two older brothers Albert and Ernest and an uncle Henry living in the family home. Father Tom was recorded as a wood saw sharpener at a timber merchants, Henry was a carpenter, brother Albert an apprentice to a motor engineer and Ernest a plumbers assistant. Reginald then 13 was still at school. Pictures of the brothers has been obtained from Berkshire and the War but it has not been possible to find any further details about their military service. In March 1918 the Germans began what was known as the “Spring Offensive”. Beginning with a long bombardment and using specially trained storm troopers the attack began with increasingly ferocious trench raids followed by Operation Michael which was aimed at the junction between the French and British Armies on the Somme. This was followed by Operation Georgette, along the River Lys. By 11th April Armentieres was evacuated and Haig issued this famous speech to his men “…..Every position must be held to the last man: there must be no retirement. With our backs to the wall….each one of us must fight to the end.” On the 15th April the bloodily won ridge of Passchendaele was evacuated and the British divisions withdrew to a line around Ypres which approximated to that of 1915. The British were below full complement and the new men, replacing those lost in Third Ypres, were young and incompletely trained, although they fought bravely. On the 20th April there was a massive gas bombardment of the British line followed up by a further bombardment on the French on the 25th April. The Germans moved seven divisions forward and the British fell back to Dickebusch Lake. Whilst the French took the major force of the attack the British eventually were able to hold their positions. On the 29th April the Germans renewed their attack but it failed. The Second Battle of Lys was over. Losses were heavy 76,300 British and 35,000 French. (German casualties amounted to 109,300). Among the British losses was Reginald Newport. 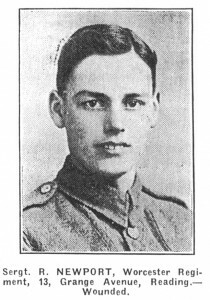 Reginald Newport has no known grave and his name is commemorated on the Tyne Cot Memorial to the Missing panels 75/77. 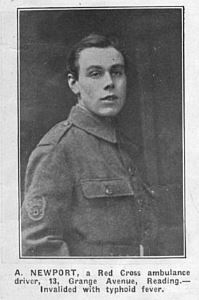 Reginald Newport died aged 20 years. Border Regiment attached to Machine Gun Corps. Ernest Frederick Knott is commemorated on the grave of his family number 9931. 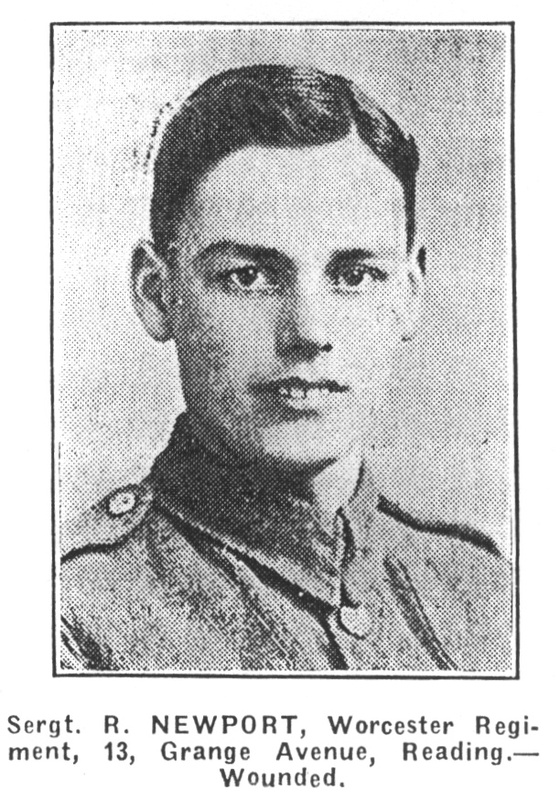 He died on the 31st March 1918 aged 24. He was the son of John and Sarah Nott. The 1911 census gives the address as 127/9 Southampton Street, we are told that his father was a coal merchant. Living at home his brothers were Horace aged 10 was still at school and Walter aged 25 who was a general labourer. Ernest, then aged 16 is recorded as a club assistant. The 1901 census records the name of third brother, Harry James Knott. 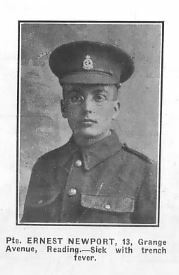 He attested in Burton on Trent for service with the 6th Battalion North Staffs Territorial Force on 8 September 1914, he gave his occupation as ironmongers assistant and his age as 23 years. His next of kin was given as Mrs Nott of 129 Southampton Street. He served 70 days until the 17 November 1914 when he was discharged. His war records do not give the reason. Ernest Frederick Nott is buried at Bellacourt Military Cemetery, Riviere, location I. O.9.